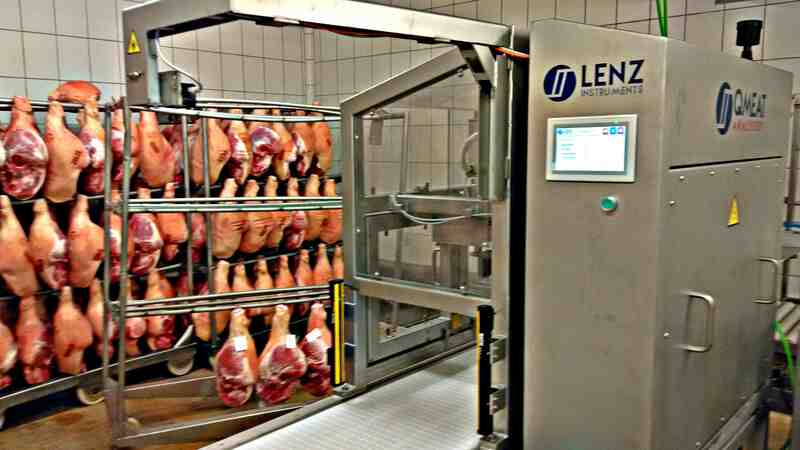 QMEAT-Analyser™ is an automatic classification machine for the identification of PSE (Pale, Soft and Exudative) meats working at line speed. The machine includes a high sensitivity spectrometer and a stainless steel penetration probe coupled to a fibre optic which is actuated by a robotic arm. QMEAT-Analyser employs an inspection method based on the spectral analysis (Vis-NIR) of the inside of the meat. The method has been patented and developed in collaboration with INNOVACC members and it is based on the spectral analysis of the internal tissues of the meat piece.